Naming this blog alone was a challenge, but I kept it simple and somewhat general for a reason. This isn’t a memorial post about my Mom but more about redefining (after her passing) the many aspects of my life in which she touched on a daily basis. While many in the nation are celebrating with Labor Day BBQs, picnics, pool parties, and one last vacation before the end of summer I’ve been spending the last five of them grieving and learning how to cope without my Mom physically present in my life. Labor Day weekend 2008 (ironically one of my Mom’s favorite holiday weekends because she planned and coordinated our block party every year) my Mom took her last living breath on this earth. I was blessed to be with her, my Dad and sister when this happened. I could tell you all the details but there are so many and its not necessary to relieve all that. The feelings don’t really relay anyways unless you’ve dealt with this kind of a loss anyway. 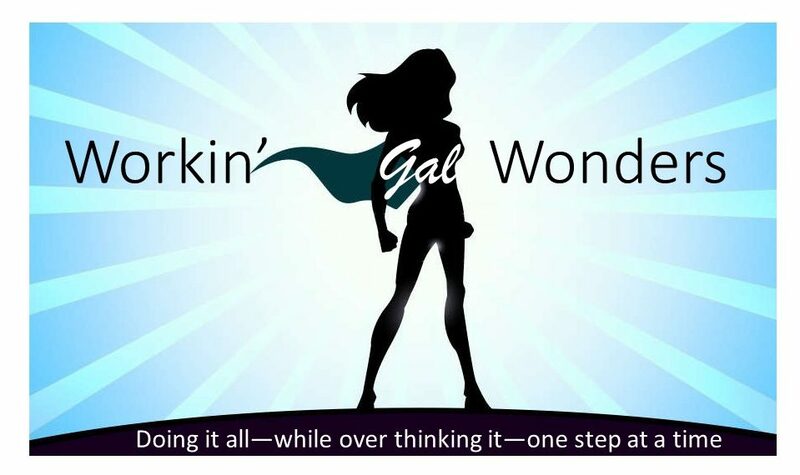 After grieving her physical loss (I’m careful to state “physical” because I know her spirit is always with me) I realized that there was no “going back to ‘normal'”–my ‘normal’ included her, physically, in my life. So I chose to “find my new normal” since then. Part of that was choosing not to spend every year on that date sad, as a recluse, and depressed. I want(ed) to strive to make new and happy memories every day I was blessed with and especially make it a point on that day. I feel that this is a good/positive way to celebrate her life. The first year, it was somewhat unintentionally done, I started my first day of classes to finish my degree. The next year (again unintentional) I started my Masters program and the following I spent in LA. All of these events were placed in my life at this time beyond my control. Including this year when I was actually planning to intentionally do something. 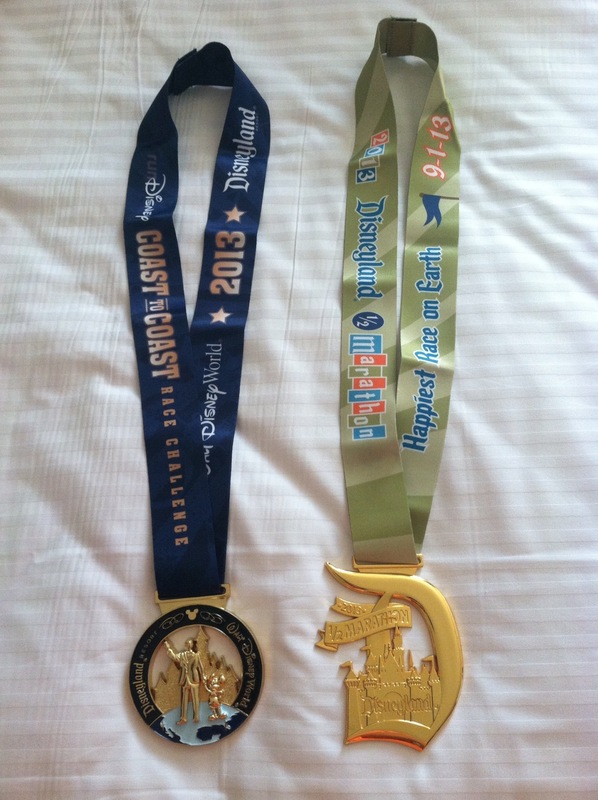 You see, after completing my second half marathon in January 2013 in Walt Disney World, my Dad encouraged me to go after and achieve my Coast to Coast medal by completing a RunDisney event in one calendar year at both parks. After much conversation about this–primarily costs, I love half but its an expensive habit–I signed up for the DisneyLand half marathon. This year it fell on Labor Day weekend exactly–it was perfect! When I started my journey to be a healthier me, I started by walking–primarily because, at my weight, that was about as active as I could be without hurting myself. But I also chose it because it helped me feel closer to my Mom. Walking became therapeutic for me and helped me understand that I wasn’t as “far” from her as it initially felt. When increasing my distance seemed impossible, I heard her voice in my head encouraging me that I could do it and to keep going. This weekend was an unusually hot and humid weekend in Anaheim and once the sun came up it was a physical challenge to keep on running my pace. But it was her voice (and my Dad’s) that I’d hear in my head when I’d just want to stop and walk the rest of the way. I could feel my legs cramping up (something I’d never felt on my runs and this was my 6th half in 12 months) and I felt voraciously hungry around mile 11 which was something new for me. I’d kept up my usual fueling practices–I run with two ten ounce bottles, one with Gatorade and the other with SmartWater, in addition to eating my SportBeans. But even in the end/aftermath I felt the effects of the weather. I stayed all of two blocks from the park and it took me over an hour to get myself back there because I kept having to stop and rest. I even got sick–I’ll spare you the gory details, but that was something new. I listened to my body and rested the remainder of the day. I share all this because running (even for runners, which I consider myself to be) isn’t always “pretty and perfect”–much like life. Before losing my Mom I found myself quick to remember/recall harder moments in my life better than the happier ones. I’m now more grateful for everything in my life no matter the size or value. Each day is a priceless gift in my mind–even the harder ones. I know, as hard as its been without her physically, my Mom’s greatest gift to me (and all of my family) was her love, sacrifice and her life. It’s been through her actions (and those of my Dad) that I’ve had such a wonderful life. Shortly after her passing I came across a quote by Mother Teresa and I still keep it close (especially when life seems to be challenging) “I know God wouldn’t give me anything I couldn’t handle, sometimes I just wish he didn’t trust me so much”. So while I’ll be honest in that every day is NOT “sunshine and butterflies” and I still often wish she were still physically here, I know everything in my life happens for a reason and when it’s supposed to happen. I know she’s in a better place, no longer physically suffering, and I trust in God that I’m right where I’m supposed to be in this moment. God has blessed me with a life but it’s my CHOICE to live it! Previous This is our start line for Sunday’s half marathon. For those of you who don’t know, I did my very first one last August and Sunday will be my sixth! My goal is to finish in 2 hours–my first finish was 2:35. It’s bittersweet though and I’ll write more about that later! Wanted to share some sunshine from Anaheim, CA!